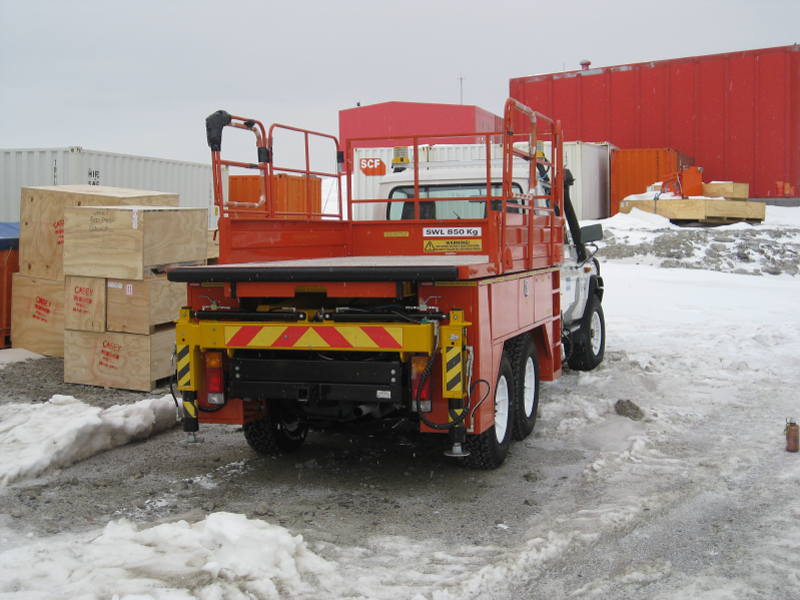 We manufacture mobile and stationary Scissor Lift Platforms to any specification. 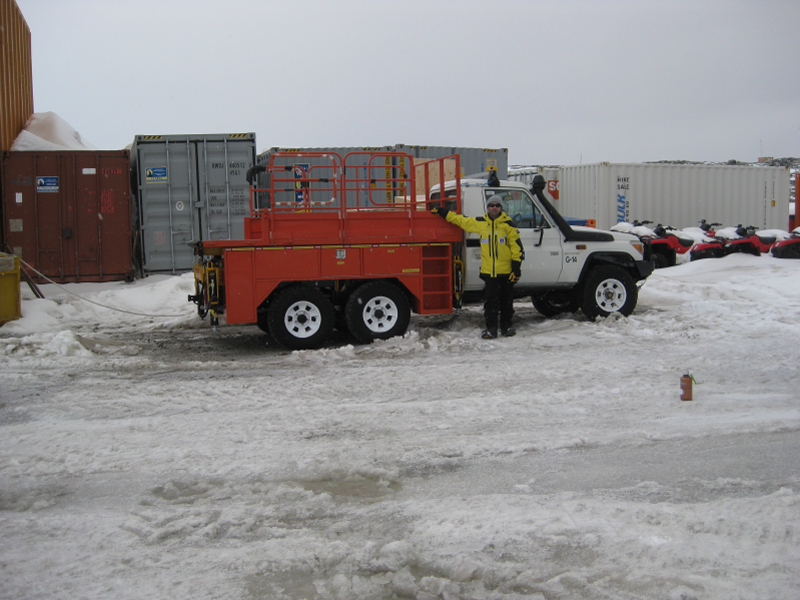 We offer easy to use controls. 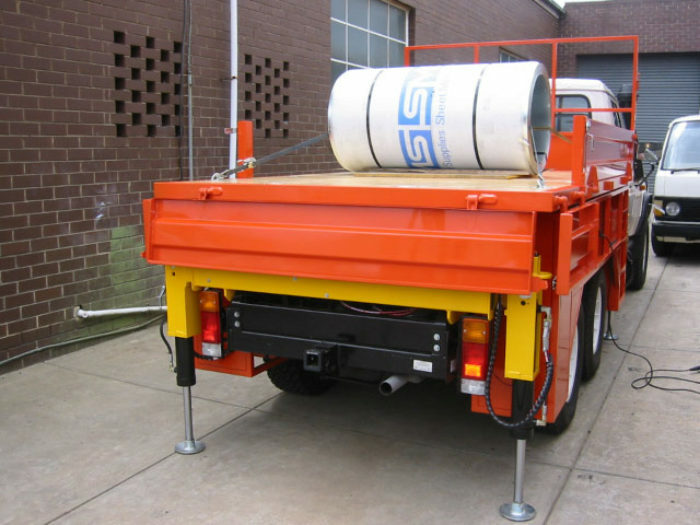 Manufactured to highest quality with many built in safety features. 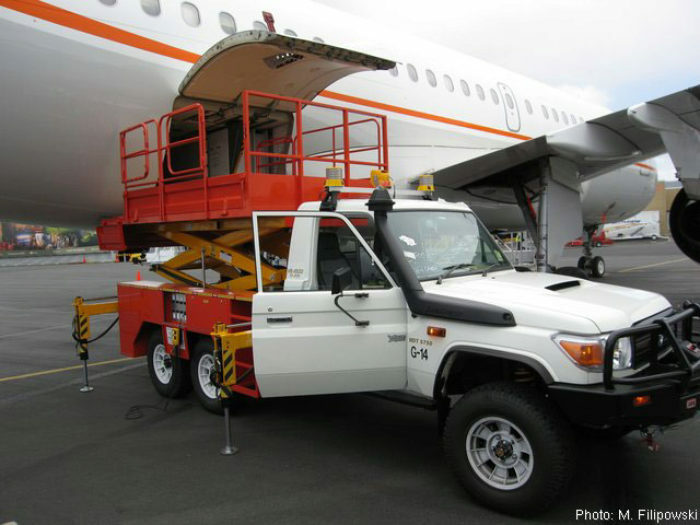 The vehicle shown above is perfect for rugged off-road terrain and flat terrain. 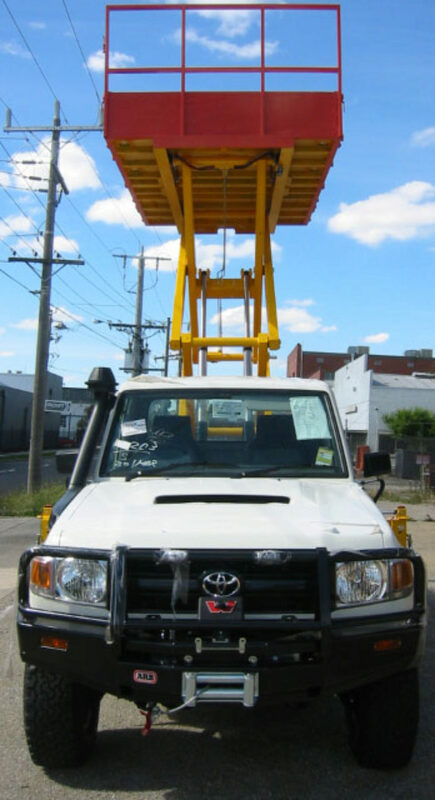 Railway and tramways over head electrical inspection/service repair platforms. 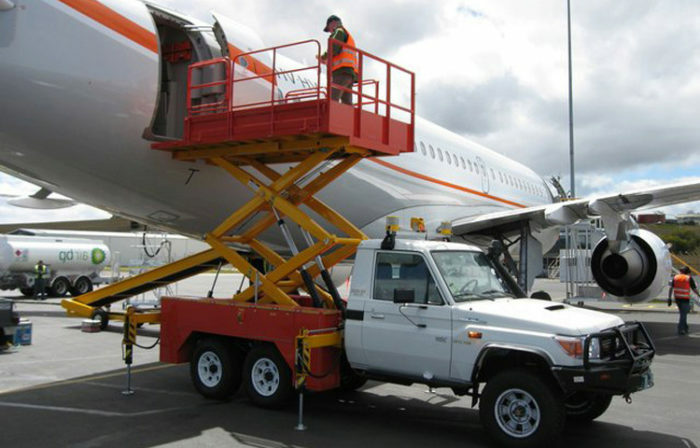 Tradespersons lifting platforms for quick and easy off-site service and maintenance work. 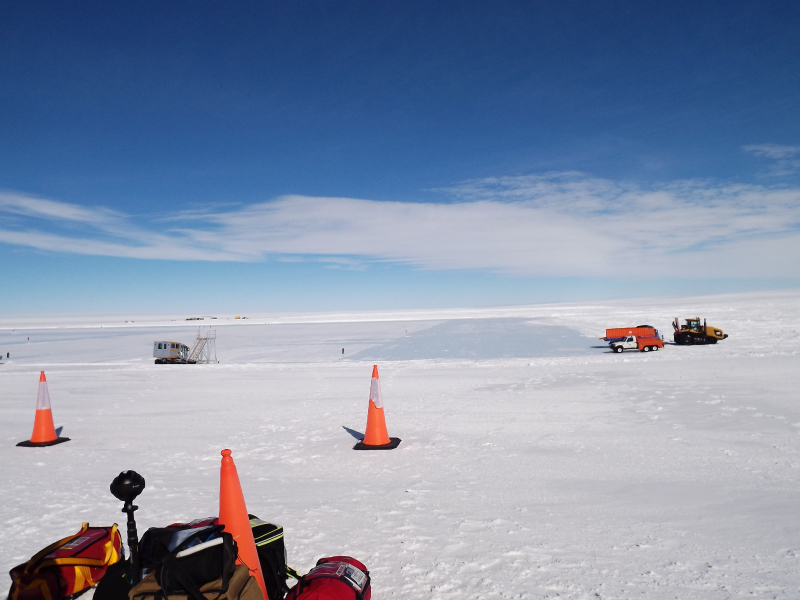 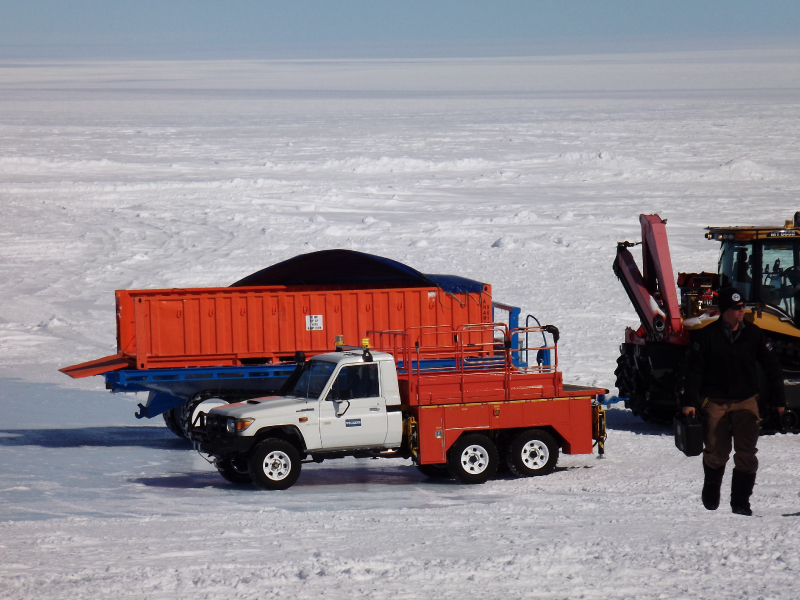 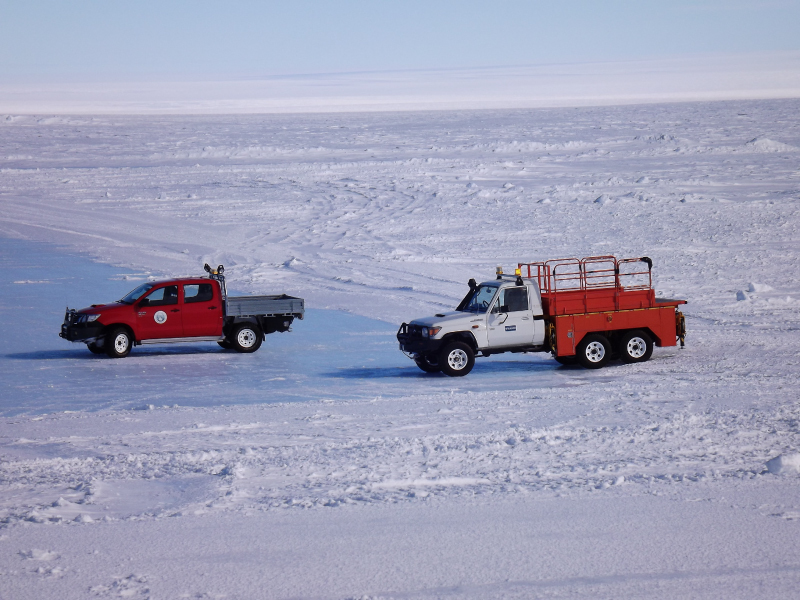 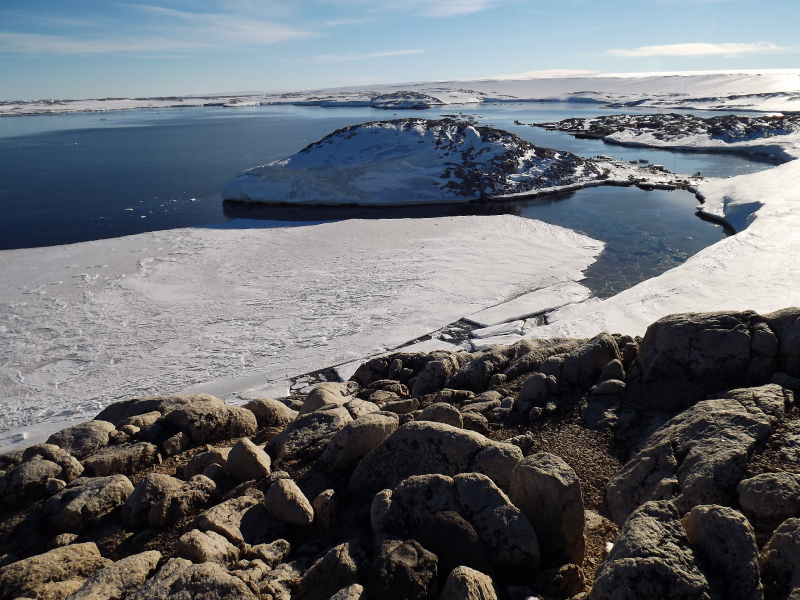 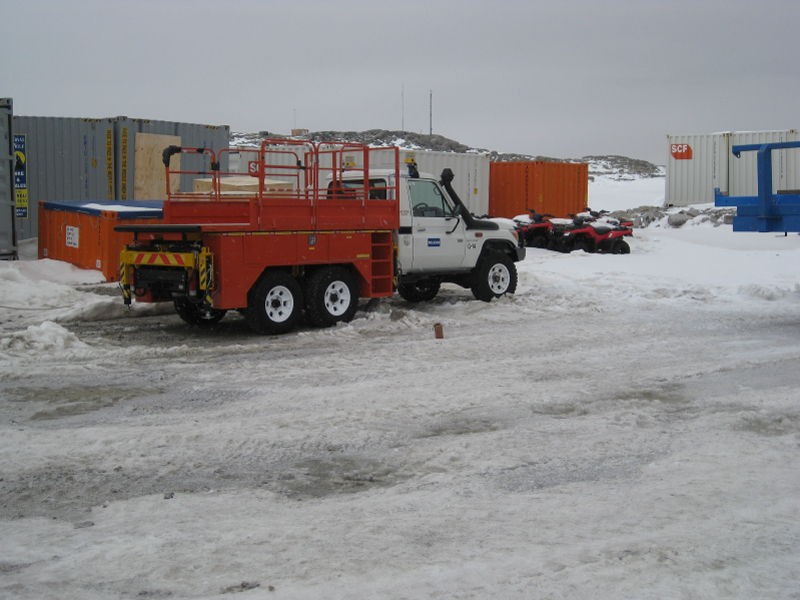 The lift platform and 6 all wheeled drive vehicle shown in the pictures above was built specifically as an aircraft cargo loading platform and emergency evacuation platform for the Australian Antarctic Division and is now in use at the Wilkins Runway in Antarctica, which is the Australian government uses as the primary long range air strip, bringing in researchers, staff and much welcome supplies to research stations.